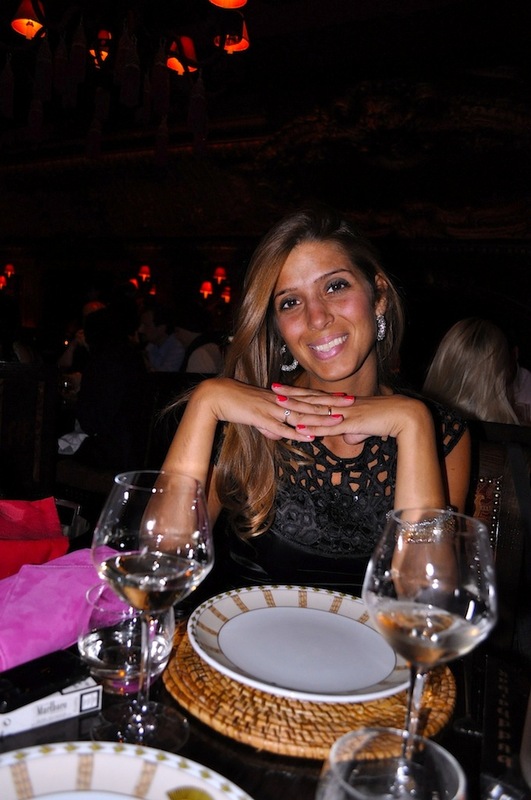 Brilliant pink accessories at Montecarlo's Buddha bar | Cosa Mi Metto??? 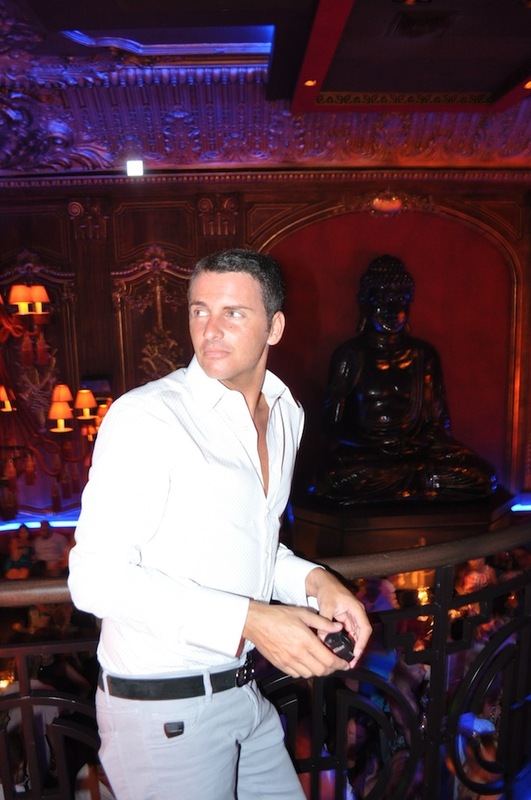 I love the Buddha bar in Montecarlo, it's a restaurant with a magic atmosphere, dim red lights, an accurate choice of music and it also offer sophisticated and delicious cuisine: so we had to spend our first night in the Principality of Monaco anywhere but here!!!! As we expected, we had such a great time! Here's some pics of my outfit: a little black dress enriched by brilliant pink sandals and clutch! On my opinion in this occasion are the accessorize that make the whole look, don't you think so?! Amo il Buddha bar di Montecarlo, è un ristorante con un'atmosfera magica, luci rosse soffuse, un'accurata scelta musicale e offre anche una cucina sofisticata e deliziosa: quindi non potevamo trascorrere la nostra prima notte nel Principato di Monaco da nessuna parte se non qui!!!! Come ci aspettavamo siamo stati benissimo! Ecco alune foto del mio outfit: un vestitino nero arricchito da sandali e pochette rosa brillante! Secondo me in questa occasione sono gli accessori che creano l'intero look, non credete? I like your shoes and bangles. and your shoes are very chic! Looks like so much fun and I love your shoes! ps.ti va di pubblicizzare il mio banner? Love the pink clutch and heels! you have so lovely, pink shoes, they are gorgeous! You are so pretty! I love all the items and the places. Ciao fabrizia, rispondo alla tua domanda qui..
Begli accessori! Ci seguiamo a vicenda? You look beautiful. Your shoes are amazing ! che meraviglia i sandali abbinati con la clutch e anche il vestito è molto carino. I've been to Buddah Bar in Las Vegas, and they have the original in Paris, don't they! 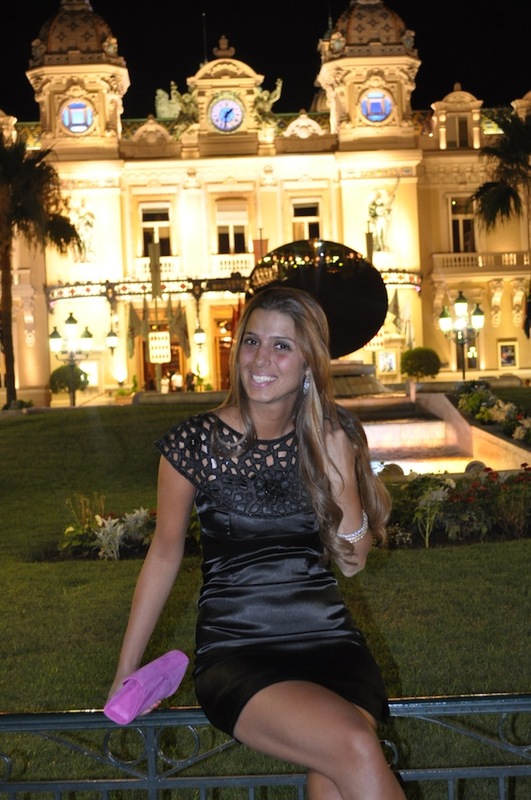 How glamorous to be in Montecarlo! Have a fabulous time - you look mahhhvelous dahhhling! Muah! Kisses from LA! I loved her dress and shoes and clutch is simply perfect, let her look with more life! What a wonderful place, I was in love, you must have fun! I think you look amazing! Great dress. Amazing. . . Hai ragione, sono gli Accessori e il modo di indossarli che fanno "Magico" l'intero Look. Il tuo "Italian Style" nel vestire è semplicemente delizioso, Chapeau ! definitely a fun atmosphere, and your pink pumps are so fab! look at those legs! you look lovely in that outfit! This dress is beautiful, and it looks amazing with pink. your shoes are so stunning. love the black-pink combination! You look super cute! I really like you shoes! love how your pink bag and the shoes act as a highlight of a chic yet simple outfit! wow! I like your outfit, especially these pink heels! Cute outfit! I especially love the heels! gorgeous!! you look stunning ~ i love those pink shoes! You look Wonderful!! Your dress is really fab! I'm really loving the little black dress paired with the pops of pink from the heels and bag. They're both so cute! Montecarlo...WOW! You look stunning! Dev'essere meraviglioso Montecarlo! Cosa mi metto??? E' quello che dice ogni giorno mia figlia...eppure ha l'armadio pieno! :) Ciao ti seguo da Roma. Se ti piace mangiare, spero che mi seguirai...sono una brava cuoca! E tu sei magrolina...hai bisogno di mangiare:)) Buona Domenica! I like those shoes! Thank you so much for following! thank you for yor comment dear! you look amazing, love your shoes. maybe you would like to follow each other? kisses! wow this dress looks so great on you. and your skin is so well tanned :) pretty chic! OMG!!! you look spectacular! Love those shoes! awesome outfit, really.. LOVE IT!! Love your pink high heels!!! Take a look at my style & fashionblog Clinquante.blogspot.com and vote for me to becoming Nokia & ELLE's next style correspondent! love the bold look you took with your shoes!! xo! Your pink shoes are nice too. i love the shoes! following you! Thank you so much for the lovely comments..
i like your blog.. great blog you have..
would love follow each other. following you now.. I love this pic!! !U look great! Thanks for visiting my blog, I'm observing! Le scarpe sono bellissime, e il vestito mamma mia ! The pop of colour from the pink looks amazing and really stands out. What a fab pop of pink in your outfit! Your outfit is absolutely gorgeous!! Amazing photos!! Cool outfit, I love your shoes! Carmen - Punta y Tacón blog. You look beautiful, I love the accesorize in pink. Look adattissimo al Principato: stai benissimo! Hi darling! Thanks for your comment. This photos are amazing, you look great. i really love your pink heels! Tanks to all of you for your comments!! U look absolutely stunning !